Etched Candle Holders - Perfect for Christmas! 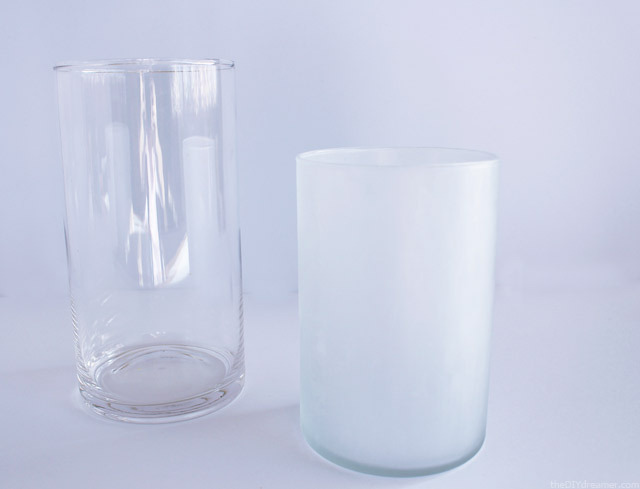 Etched Candle Holders – Perfect for Christmas! There are years where the Holidays, especially Christmas, seem to come and go so quickly. For me, last Christmas flew by so fast that I barely had a chance to create anything . I did make a wall mounted advent calendar and a no sew ribbon tree skirt, but still not as much as I would have liked. This year I made myself a promise to start crafting things for the Holidays as soon as November started. I’m quite happy to say that I stuck to my promise! YAY! A few weeks back when I received my box of October supplies from the 12 Months of Martha program, there was a set of Berry Branch Stickers that I instantly knew I wanted to use on a Christmas Craft. They would be perfect to decorate vases that I was planning on etching and using them as candle holders. Step 1: Take out all the supplies you will need to create the project. Make sure the vase(s) is clean and free of dust. 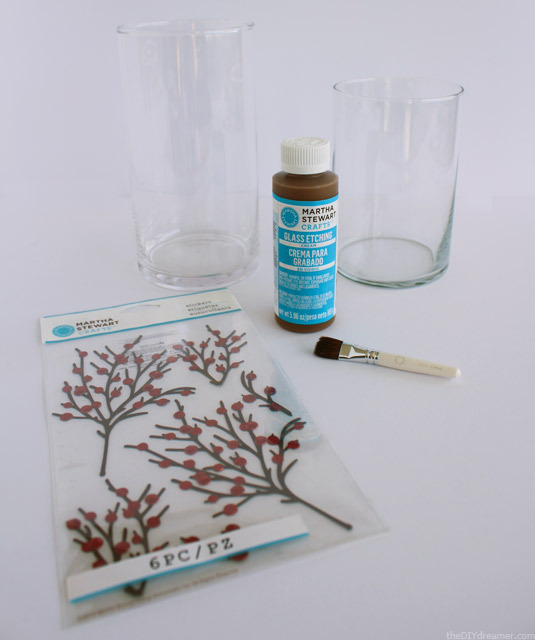 Step 2: Put on plastic gloves and apply a very thick layer of Glass Etching Cream onto your vase(s). Use a brush to smooth it on. (I found that having my husband pour the etching cream onto the surface as a brushed it on worked very well). 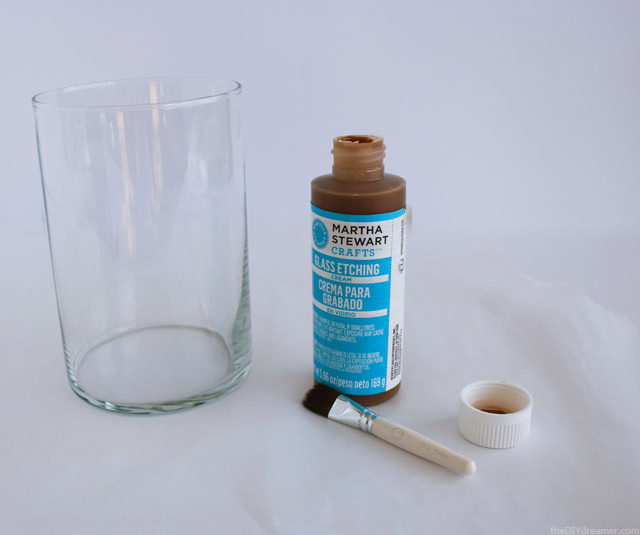 Step 3: Leave the glass etching cream on the surface for 15 minutes. After the 15 minutes are up, rinse off the etching cream under running water. Let dry. 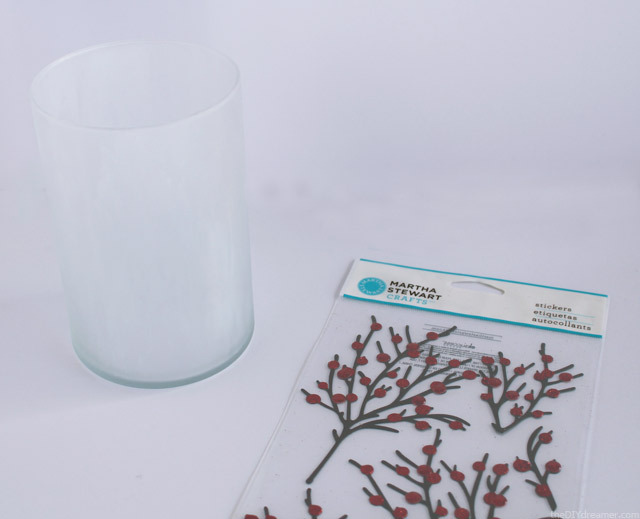 Step 4: Place the Berry Branch Stickers onto the etched vase(s) and insert a candle. 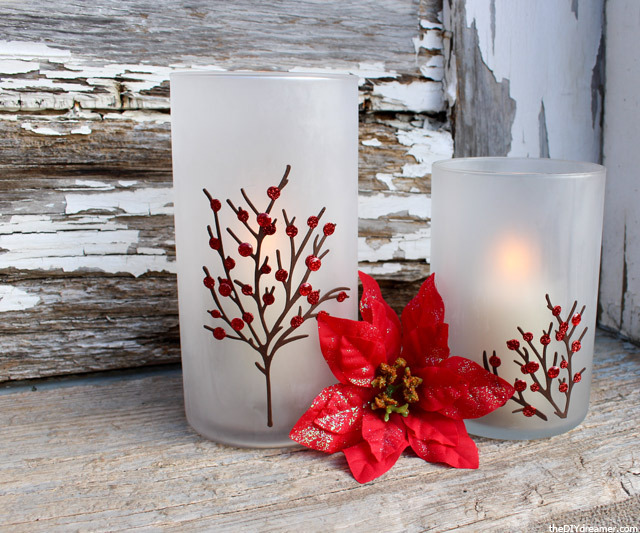 And voilà, you now have beautiful Etched Candle Holders perfect for the Holidays! Have you started crafting/creating things for the Holidays? Disclosure: Martha Stewart Crafts sent me supplies in order to create this project. The opinions in this post are 100% my own. Wow Christine. These are honestly stunning! I love the. those berry branch stickers are so pretty! I think I need to make this:) pinning to remember! Christine! These are so cute!! That etching came out beautifully! 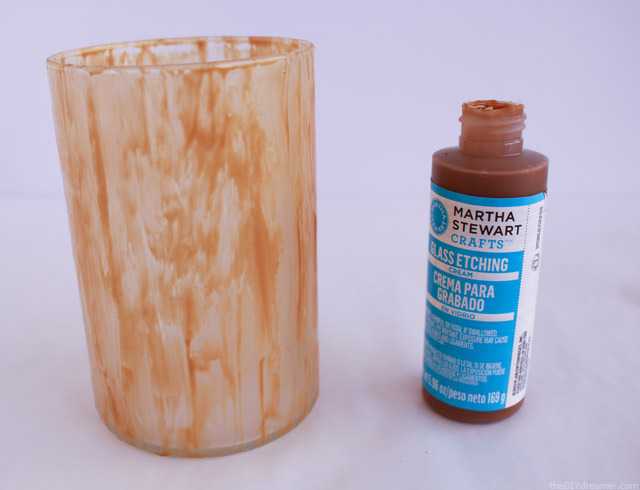 I love that etching cream – I want to etch everything in my path – watch out small children and pets! Love this! LOVE this idea! I will be bookmarking this! This is gorgeous! I’ll have to try it. I love those berry branches. WOW! These are so cute! They look so easy to make and that is something I like. With a little four year old at home quick projects make my day! Can’t wait to try these out! These are so pretty Christine. You did a fabulous job! Thanks for linking up to Tickled Pink Times Two. Make it a pink week. These are really pretty. I have to try this! Those are so pretty! I’d like to do some for Christmas. Such a good idea! WOW! Those look so nice and simple to make. Thanks for the idea. Simple and beautiful, I would love something like this on my mantle. I already have the etching cream, just need to find some cute stickers. Thanks for sharing. I just LOOOOVE this Christine!. I love that technique and I’m eager to try it. I really nee to get that etched soon! Pining! You make it sound so easy, I’ll just have to try it. Very beautiful thanks for sharing. Absolutely gorgeous, Christine!!! Incredible how that etching cream works. Simply beautiful, I am going to have to give this a try. Maybe I will come up with some sweet Christmas presents along the way. Thank you for sharing, Christine. You ALWAYS have the best ideas! I love this craft. It turned out beautiful! I think your project was awesome and that’s why I featured it at Craftionary.. :) Thanks for linking up at The weekly creative.. Come by and see other fun projects that got featured along with you. Love it, hope its as easy as it looks. I didn’t know etching could be so easy! I am going to have to give it a try. Stumbled and pinned!